Joy Peterson, age 92 of Dunseith, died Sunday at a Rolette nursing home. A memorial service will be held on Saturday at 10:00 am at the Peace Lutheran Church in Dunseith. Burial will be at the Little Prairie Cemetery north of Dunseith. Joy Peterson, a daughter of Edward LeMarchant (Lee) and Alice May (Striker) Stickland, was born on February 12, 1927 on the family farm in Willow Lake Township. She attended school in the country and in Dunseith. On October 20, 1944 she married Maynard (Bill) Peterson at Little Prairie Lutheran Church. They lived on the Peterson family farm and farmed with Bill’s parents until they were hailed out in 1955 and moved to Virginia, MN for work. They later returned to the farm and ran the operation until 1988 when they moved to town. In October of 1994 they celebrated their 50th wedding anniversary at the International Peace Garden celebrating with family and their many friends. Bill passed away on August 31,2004 after 60 years of marriage. 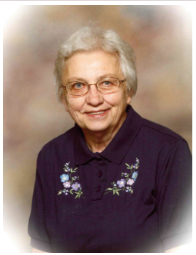 Joy was very active in the community including the Farmer’s Union, the Turtle Mountain Homemakers serving many a meal at the Peace Garden, the American Legion Auxiliary, Little Prairie Lutheran Church and later Peace Lutheran Church. She particularly enjoyed working at The Food Pantry, her quilting group at the church and meals at the Senior Center. She loved her grandchildren who frequently stopped by her house to visit or sleep over. Joy was a wonderful baker and it wasn’t uncommon for guests to stop by and for her to go the freezer and bring out 3 different kinds of cookies, bars or cake. The coffee was always on. She loved working in her garden in the hills, her flower beds and feeding the numerous hummingbirds who visited her feeders. 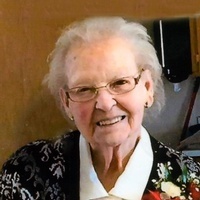 Joy passed away on Sunday, September 16, 2018 at the Rolette Community Care Center. 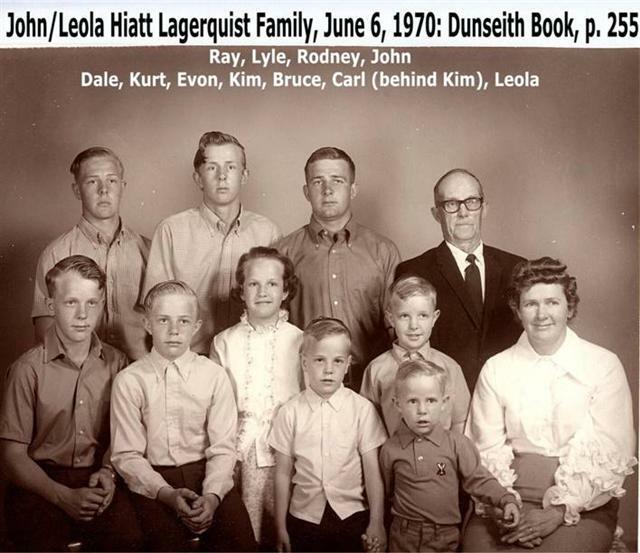 She is survived by her daughter, Sharon (Bill) Harmsen of Bismarck, 3 sons, Robert (Monica) Peterson of Alexandria, MN, Larrett (Loyola) Peterson of Crosby and Scott (Leslie) Peterson of rural Dunseith; 8 grandchildren, Shayne Denise, Christopher, Ryan, Maxwell, Jeremy, Jacob, Justin and Kaycee; 5 great- grandchildren, Hannah Joy, Kole, Rhylee, Ricklyn and Rickayla; brother Leonard (Eleanor) Stickland of Mandan and numerous nieces and nephews. In addition to her husband and her parents, she was preceded in death by her siblings, Delma, Robert, Ennis, Lois, Doris and Marion. I have been following the hurricane and thinking of you folks. Are all of you ok? Randy, We are OK. We live in the Banana Belt of the Philippines. Most all of the storms pass to the north of us over the northern tip of our Island. In the 15 years we have lived here, we have never had any destructive storms hit our area. The closest they have passed is with the center of storm being 60 miles to the north. We will often times get some of the heavy rains and the lighter winds associate with the storms. Manilla normally gets hammered pretty hard with the majority of storms that pass over the Philippines. By sheer coincidence, today’s achieve posting from March 13, 2010, posted below, includes Harvey Hobbs Obituary along with pictures and memories of the Metigoshe Store. Arvilla Hobbs, 79, of Pick City, ND passed away September 4, 2018 at CHI St. Alexius Medical Center, Bismarck. Services will be held at 10:00 AM CDT on Wednesday, September 12, 2018 at St. Paul’s Lutheran Church, Riverdale with Pastor VanVechten Crane officiating. Burial will be held at Riverside Cemetery, Dunseith, ND. Arvilla Erika (Wolf) Hobbs was born on May 22, 1939 in rural Ashley, McIntosh County, ND to Martha (Scheuffele) Wolf and Henry C. Wolf. She attended rural school for two years and graduated from Ashley High School. Arvilla was married to Harvey Hobbs on June 29, 1957. To this union two sons were born, Steven and Scott. 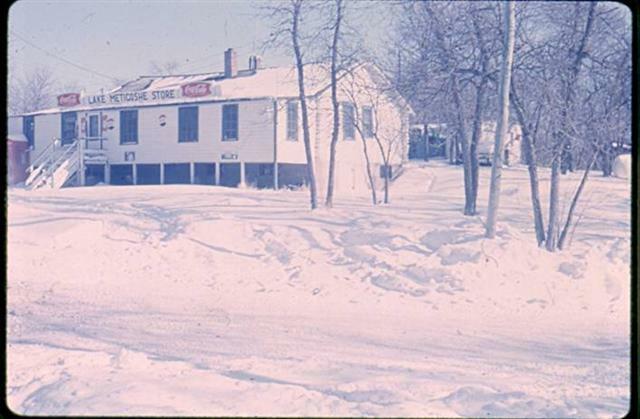 Together, Arvilla and Harvey owned and operated Lake Metigoshe Store and Café. They later bought a farm near Lake Metigoshe. Arvilla worked at Benson Law Firm as a secretary and tax preparation personnel. In 1971, Arvilla and Harvey moved to Crosby, ND where she worked at Kress Swander Accounting. She became a partner and earned her insurance license to sell commercial, home, farm and crop insurances. In 1994, Arvilla retired and they moved to Pick City where she worked with her son, Scott and family at Scott’s Bait and Tackle. She loved people and working among the public. Arvilla also loved the outdoors. She greatly enjoyed camping, fishing, gardening and walking, sometimes up to three miles a day. Arvilla is survived by her sons, Steven (Yadireth) Hobbs of Portlaw, VA and Scott (Teresa) Hobbs of Pick City; four grandchildren, Juan Carlos (Tasha) Hobbs, Serina (Wyatt) Eisenbraun, Scott Hobbs, Jr., and Shawna Hobbs; five great-grandchildren, Loye Eisenbraun, Carlos Hobbs, Lilliana Hobbs, Isabella Hobbs and Jasmine Hobbs; one brother, Howard (Doris) Wolfe of Bismarck; and many nieces and nephews. She was preceded in death by her parents; her husband, Harvey; three sisters, Anna, Laura and Violet; and one brother, Harold. From Travis Metcalfe (’76): Mesa, AZ. That is about the same saying as “Never argue with a fool-someone listening may not know which is which”…. Memories from Vickie Metcalfe (70): Bottineau, ND. Greetings from Bottineau, For the past week or so its been a foggy gloom with some icy doom. But at 8:30 a.m. this Friday morning it became sunshine and blue skies here at the feet of the Turtle Mountains. Just a wonderful spring fresh air March morning! Provided by Neola Kofoid Garbe: Minot & Bottineau, ND. Metigoshe Store: Picture posted by Jerry Olson (formerly from Souris, ND): Bremerton, WA. Folks, I have a good story to tell you about how I met Jerry Olson. First off I will tell you he was born and raised in Souris, graduating from Souris in 1968. Jerry’s uncle was the owner of the John Deere implement dealership in Bottineau. 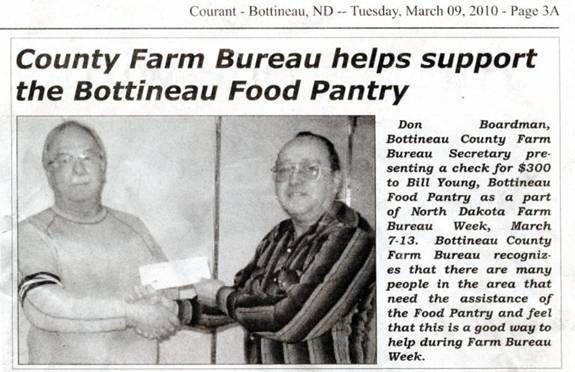 His sister, Nadine Little, is well known in the Bottineau and surrounding community as the cake lady. Now the story of how we met. Jerry has lived in Bremerton, WA for many years. We too lived in Bremerton for nearly 37 years. A good friend of mine who now lives in AZ sends out 6 forwards everyday to about 60 folks on his list. About 2 months ago one of his forwards was the picture of the deer on the snow mobile trail near Lake Metigoshe feeding on the grain that had been dumped there for them to eat. My friend really has no idea that I’m from ND. He had no idea where this picture was taken when he sent either. It had been forwarded to him as a joke that folks couldn’t use their snow mobiles because of the deer. 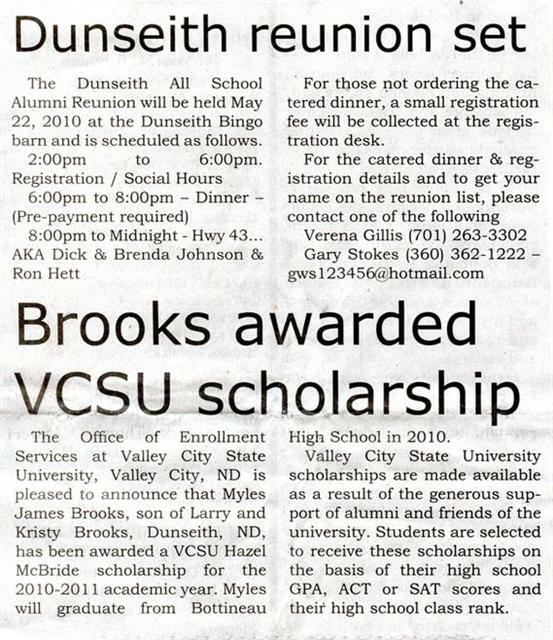 I instantly recognized that photo from seeing it in the Bottineau Courant several years ago. I did a reply all to that message letting everyone know where this picture was taken with a bit of the history and geography of the area. The next day I got this reply from Jerry Olson who had gotten my reply forwarded to him. His comments were “Holy cow, I recognize that area”. He then said, “I think we have a lot in common” of which we do. His mother was a Dunderland from the hills. The Dunderland’s lived south of Lake Metigoshe. Jerry spent a lot of time at the Lutheran bible camp and church at Lake Metigoshe and also the Boy Scout camp in his youth. Jerry and I have never met face to face, but we have exchange a number of messages in the past several months. It’s a small world. Harvey Hobbs and his wife, Viola (also his sister’s name) operated the Metigoshe Store. It was just south of the bridge and on the south side of the curve. We went there many times in the late 50s and early 60s, usually by boat from the cabin on the south lake. I remember how the store had lots of steps up the front and you first entered the lunch counter area. I had many sundaes at that little counter, while the folks got groceries and supplies. They handled nearly everything lake related. When the Hobbs’ left Lake Metigoshe, I think they moved to Crosby, ND. 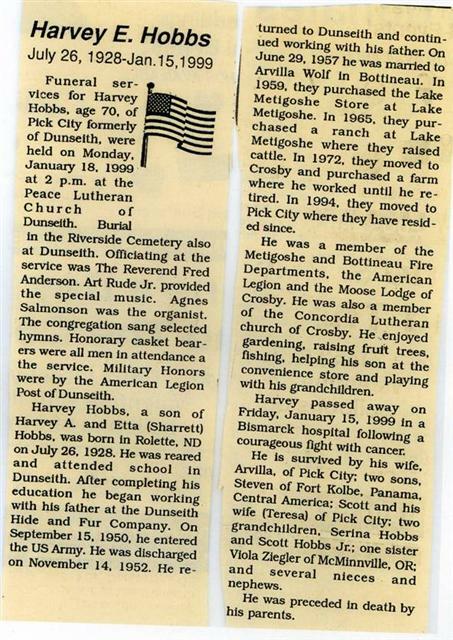 Last Memorial Day I walked around at all the cemeteries and at Riverside I saw the Hobbs grave where Harvey is buried. I believe he passed away in the last couple of years, if my memory serves me correctly. Thanks Gary! Posted byNeola Kofoid Garbe: Minot & Bottineau, ND. Note: Myles Brooks Grandparents are Orville & Gloria Hagen. His mother is Kristy (Hagen) Brooks. Highway 43 (Peace Garden Road). 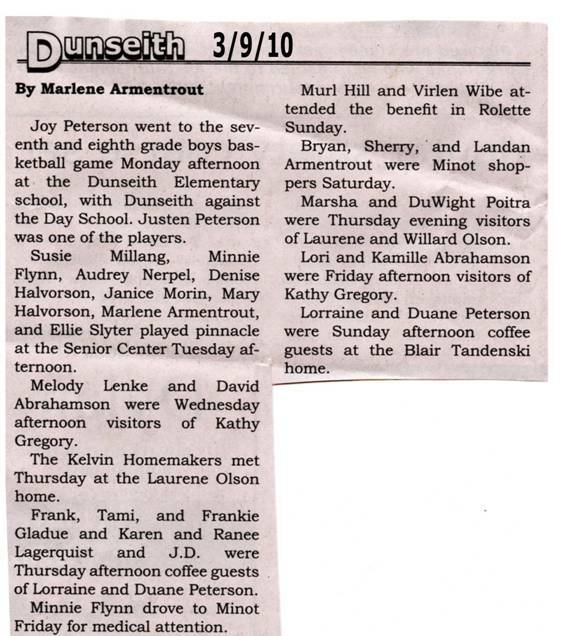 and the Turtle Mountain times as well. I’m hoping it was published this past week in those papers too? Bill is Melvin Foss’ step-son. Don is a member of “Just Us”, a musical group from Bottineau. Other members in this group are Tina Pladson and Dave Mettler.